Eating well is important for all of us whatever our age in order to stay fit and healthy, but as we get older our nutritional needs change and it is more important than ever to think about what you are eating. 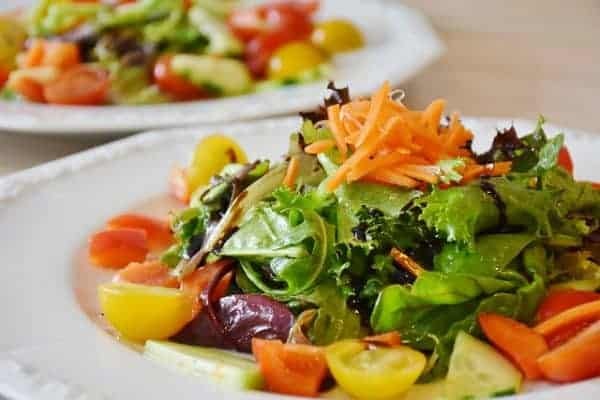 Good nutrition is not only required for a fit healthy body but will also keep you mind sharp and give you energy at a time in life when mental and physical agility may be waning. But many of us are set in our ways about what we eat and how much we eat so it can be hard for elderly people, especially those still shopping and cooking for themselves, to get the balance right. Older bodies need certain nutrients in different proportions and eating habits that were fine in your younger years may no longer be suitable for a healthy later life. There is also conflicting advice about what is healthy and what is not – but as a general rule food is better for you if it is not processed i.e. it is in its natural state. Another useful rule is to try and eat more plant-based foods than animal-based foods. Healthy eating doesn’t necessarily mean eliminating refined sugar and processed foods but it’s more about eating them in smaller quantities and making healthy produce the largest proportion of our daily diet. This guide is intended to provide an overview of the general nutritional needs for elderly people but is not a substitute for professional advice. For specific advice about nutritional needs (especially if you have an underlying health condition), speak to your GP, nurse or other healthcare professional. Many older people can lose their appetite so start to eat smaller portions – that’s fine provided the balance of nutrients in every meal is right. Even if you haven’t lost your appetite you will probably need fewer calories because you are less active and your metabolism has slowed down. So it’s a good idea to reduce portion sizes if you are putting on weight because excess weight is bad for the heart and can also lead to weight related issues like type 2 diabetes. But when consuming fewer calories it is more important than ever to get the right level of nutrients, vitamins and minerals to maintain good health. Older people need the same amount of nutrients, and often more vitamins and minerals, but the challenge is to find them from fewer calories. According to The British Nutrition Foundation eating the right foods and moving regularly help to protect the older generation from many age-related conditions, including issues with bone, joint and oral health, as well as heart disease and cognitive problems. However, both malnutrition and obesity are prevalent in the older generation and some elderly people are lacking essential nutrients. Apart from vitamins, minerals and nutrients such as protein, carbohydrates and fats the other important nutritional considerations as we age are our fluid and fibre intake. 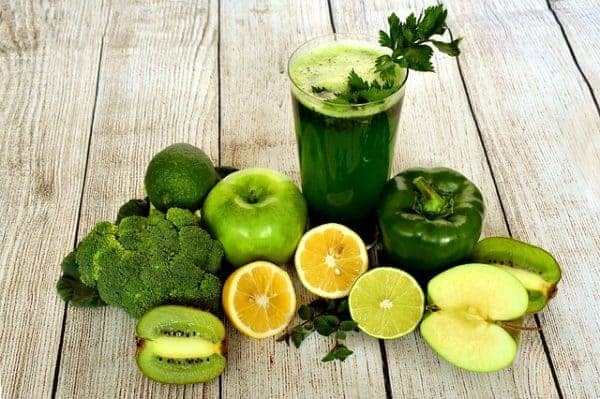 There are, of course, other challenges to good nutrition for the elderly because many older people have difficulty chewing and swallowing; they may be experiencing a loss of appetite or need to change their diet completely because of medical conditions. But all of these difficulties can be overcome. So Just What Food Is Good For Old Age? Protein should make up approximately 15% of your food intake to keep muscles strong and avoid the loss of muscle mass. For most people the majority of their protein intake will come from meat, fish, eggs and dairy products. 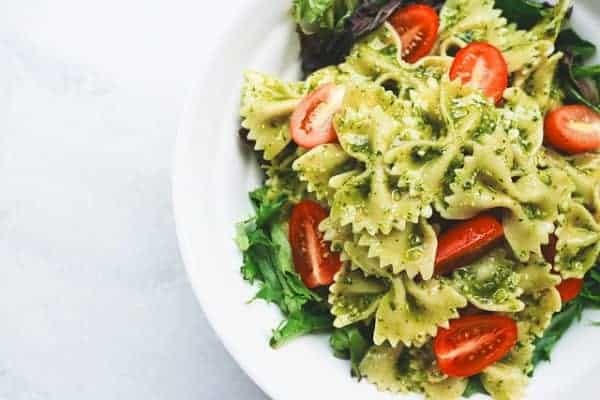 Vegetarians will typically replace meat and fish with beans, quinoa, tofu, lentils and other protein-rich plant-based foods. For meat-eaters remember to stick predominantly to low-fat sources of protein such as chicken, turkey, and fish. Fats are often associated with an unhealthy diet and the wrong type of fat can result in diabetes or blocked arteries which can lead to heart disease and stroke. But there are plenty of good fats that should be incorporated into a balanced diet and for most people around 35% of their calorie intake should come from these healthy fats. The human body can make most of the fat it needs but there are two fats, found in plant-based foods and known as “Essential Fatty Acids”, that can’t be made in the body so must come directly from the food we eat. Among other things these essential fatty acids store energy, protect our vital organs and support our immune system. Water is an essential component of a healthy diet but as we become less active it is easy not to notice we are thirsty and dehydration can become a real problem for older people. Some medication can cause dehydration and kidneys may not function as well as in younger people so it is sometimes harder for older people to conserve the water they are drinking. Avoiding dehydration is important because it can lead to serious issues such as a drop in blood pressure, confusion, disorientation and exhaustion. To stay well hydrated keep a bottle or glass of water close by at all times – especially for those with mobility problems where it might be difficult to get up and fetch a glass of water. Also try and get into the habit of drinking even if you don’t feel thirsty and remember that all drinks count but just watch out for high sugar levels in some drinks. To help reduce cholesterol and for a healthy gut ensure your fibre intake is high by eating plenty of fruit, vegetables, wholegrain products, oats, nuts, beans and pulses. Fibre is only found in plant-based foods. When it comes to vegetables and fruit then deep coloured varieties are always best because they are the ones that are naturally full of vitamins and anti-oxidants. Think blueberries, blackberries, raspberries, and cherries for super-healthy fruit and broccoli, spinach, kale, cabbage and even frozen peas for super-healthy veggies. And even in the winter when there are limited supplies of good rich-coloured fruits you can find frozen fruits without missing out on the great nutrients. It’s not news that older people need plenty of calcium for healthy bones and the best source of this essential mineral is dairy produce – so milk, cheese and yoghurt are a vital part of an older person’s diet providing they are eaten in moderation and are the low-fat varieties. Dairy produce is also a good source of vitamin D which contributes to healthy bones. Usually we can make enough vitamin D from being out in the sunshine but vitamin D deficiency is common in people who do not get enough sunshine either because they can’t get out and about easily or because they live in colder climates. It’s also harder for the body to create vitamin D as people get older. Protein-rich foods include seafood, fish, poultry, meat, eggs, beans, pulses (such as lentils and chickpeas), nuts and dairy products. Whilst meat is a good source of protein it also contains saturated fat so any red meat should be as lean as possible. Even when eating poultry, which is much lower in fat, you should avoid eating the skin. You might not think you have eaten bulgur wheat before but it’s one of the main ingredients of the delicious Moroccan salad tabbouleh. You can also use it in all sorts of other salads or even add it to your favourite soup. Vegetarians’ favourite grain of the moment due to the fact it has more protein than any other grain. It is also known to lower risk of heart disease because it contains omega-3 fatty acids. Much of the couscous found in supermarket aisles is made from refined flour but look out for the whole wheat version for real health benefits. Buckwheat is a good source of manganese, which boosts brain power so next time you are making pancakes substitute refined white flour for buckwheat flour (just don’t forget to let the batter rest before cooking as it is much more glutinous than refined flour). Corn is a good source of B vitamins, magnesium, and phosphorus, and also high in anti-oxidants to lower the risk of diabetes and heart disease, and to boost memory. And remember popcorn counts too as a healthy alternative to high fat crisps or high salt nuts. Oily fish such as fresh or tinned salmon, mackerel or sardines and fresh (not tinned) tuna provide a rich source of omega-3 fatty acids, which can help you maintain a good memory. They also have the added benefits of various vitamins and minerals that protect the heart and blood vessels from disease. The causes of dementia are still not fully understood but we do know that due to brain cell damage people with dementia can exhibit symptoms such as memory loss, confusion and behavioural issues. And research indicates that having a diet high in certain vitamins and minerals could help lower dementia risk or even slow down the disease if it has already developed. Read our straightforward guide: Understanding Dementia for more information on the causes, symptoms and treatments of the various different types of dementia. People with dementia often have high levels of amino acid in the blood and lack vitamin B12 and folic acid. By incorporating foods rich in B12 and folic acid the levels of amino acid in the blood can be reduced. 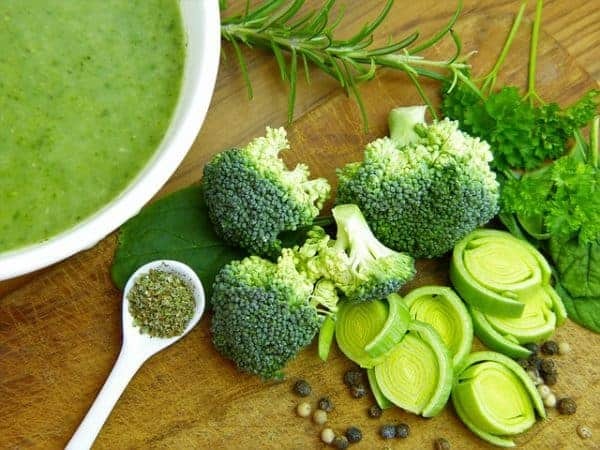 For foods containing folic acid try eating plenty of dark green vegetables (such as kale, spinach or broccoli) and citrus fruits (or simply fresh orange juice) and also look out for breakfast cereals that are fortified with both folic acid and B12. For a B12 boost incorporate into your diet liver, chicken and oily fish, such as salmon, sardines and fresh tuna. Remember tinned salmon and sardines are just as good as fresh so are a perfect kitchen cupboard staple. Vitamin B1 is needed by certain neurons in the brain (cholinergic neurons) that are known to have deteriorated in people with Alzheimer’s and B1 has been shown in trials to slow the progression of the disease in some people. Vitamin E may not be able to prevent dementia but it can prevent damage to our bodies cells and tissue, which are factors in age-related diseases such as dementia and also cancer, heart disease, liver disease and stroke. It also helps boost our immune system so there are good reasons for making sure we get enough vitamin E from our diet. Many elderly people do not have enough zinc in their diet but it can help improve memory so it’s worth eating more foods rich in zinc. These include beans, nuts, crab, lobster, whole grains, fortified breakfast cereals, and dairy products. Eating healthily is good for your heart – it will make you feel physically better and it’s something relatively easy to change. 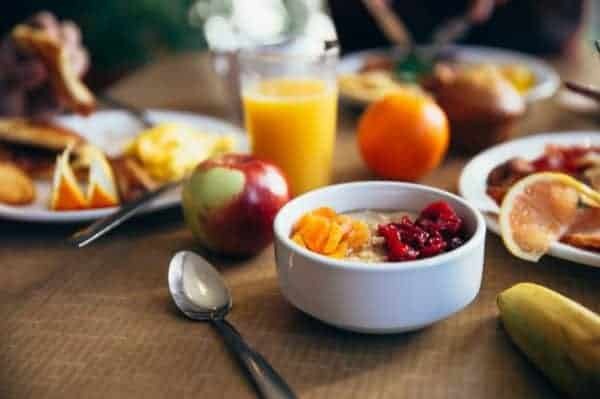 You don’t need to change your eating habits overnight but gradually start cutting back on the foodstuffs that are unhealthy and introducing more of the healthy ones. Do you get your five-a-day? For many of us it’s a target rather than something we necessarily achieve everyday but if you keep aiming for that target you will be healthier. Fruit and vegetables are low in calories and are packed with vitamins, minerals and fibre so make sure you stock up on an array of different coloured fruit and veg every week. To make sure you always have a good supply in the house also stock up on frozen fruits and vegetables. If you don’t have a freezer then tinned versions are still healthy providing you choose the low salt and low sugar versions. Fibre helps lower cholesterol but it also fills you up so that you don’t find yourself craving sugary snacks and gaining too much weight. As well as being found in fruit and vegetables, fibre is also present in beans and whole-grain breads, wholewheat pasta, brown rice and cereals. Almonds and walnuts contain fibre but also other valuable vitamins and minerals that have been shown in recent studies to lower the risk of heart disease. Stick to meat with a low fat content – ideally chicken and turkey in preference to red meats – otherwise look for lean cuts and remove any visible fat before cooking. All dairy products – while necessary for calcium and vitamin D – should be the low fat varieties and it’s best to avoid butter altogether. Instead use an olive oil or sunflower oil spread. 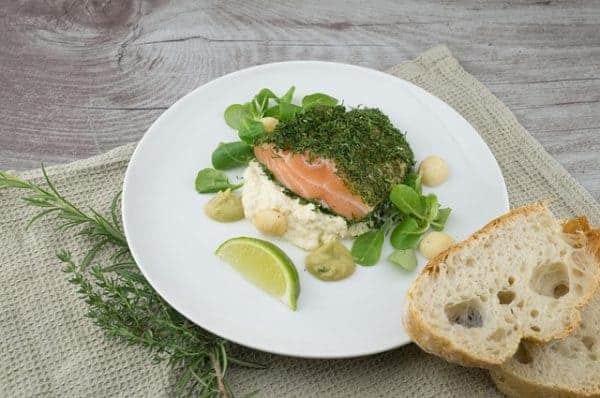 Try and include two portions of oily fish per week in your diet and remember that tinned salmon, sardines and mackerel all count towards this total so if you can’t get hold of fresh fish you don’t need to go without. The levels of omega-3 fatty acids in oily fish can help reduce the risk of heart disease. If you have been diagnosed with diabetes you will already know that there are some foods you need to avoid and some foods you need to eat less of. These include foods high in salt, high in saturated fats or trans fats and high in sugar (especially snacks and drinks, including alcohol). But what can elderly people with diabetes eat? 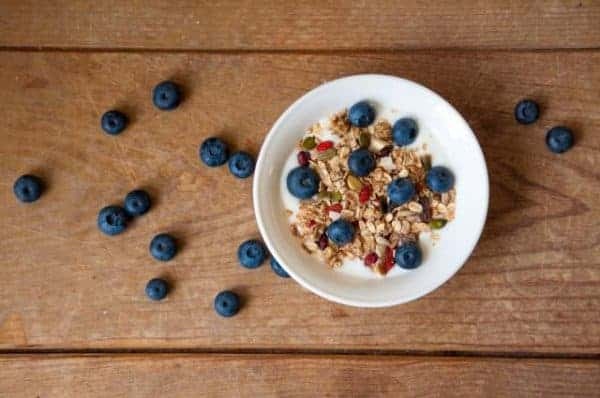 Well pretty much the foods that are good for your brain and heart are also good for you if you have diabetes, such as: vegetables, fruit, pulses, nuts, oatmeal, bran and whole grains. 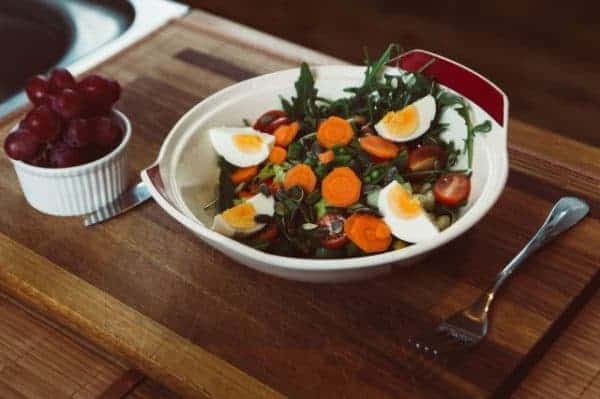 As with other healthy diets dark green vegetables are best but also include orange coloured vegetables in your meals, such as carrots and sweet potatoes. Add lean meat and fish for protein and small quantities of avocadoes and nuts for “good fats” and that is the basis of a good diet for diabetics and everyone else. You can see from what we have written about healthy nutrition for the elderly that there is a common theme running through these healthy foods… what is good for one part of your body is good for your whole body. *Although many beans and pulses come in tins choose the dried varieties if you need to watch your salt intake. Vitamins and minerals obtained from the food we eat are much more easily absorbed by the body than supplements so it is almost always better to ensure you are gaining what you need through good nutrition. Note the exception to this is Vitamin D – you can obtain it from oily fish and fortified breakfast cereals but the majority of the vitamin D in our bodies is made from exposure to sunlight. For that reason many people in colder climates are vitamin D deficient because there isn’t enough year-round sunshine. So it may be that the only solution is to take a supplement. Eat more vegetables: They can be cooked until soft for people who have trouble chewing and pureed or made into soup for those who find swallowing difficult. Make fruit smoothies: They can provide enough nutrition for a light meal, are packed with vitamins and minerals and easy to digest. Shred or cut meat into small pieces: especially for those who no longer have the fine motor skills to use a knife and fork. Make lunch the main meal: It is better for older people to eat their largest meal at lunch-time. This avoids digestive problems and potentially interrupted sleep. Drink plenty of water: Even if you don’t feel thirsty drink plenty of fluids every day – it doesn’t have to be plain water – tea and fruit juices all provide hydration. Eating habits can change if, for example, you have lost a spouse who used to do most of the cooking. Depression and medication can also affect eating habits so it is important to reach out for help if you need it or if you are unable to prepare your own meals. There is help available in the form of meal delivery services in most parts of the UK (often known as “Meals on Wheels”) so get in touch with social services or your local council if you think you need help maintaining good nutritional levels. You can pay for these meals privately or may also be eligible for a subsidy. Having home care can ensure good nutrition for elderly people – carers will know about all the different nutrients, vitamins and minerals required and can also rovide details to other family memebers. Great advice for the elderly and those who take care of them! Great advice and not just for the elderly but the rest of us as well!